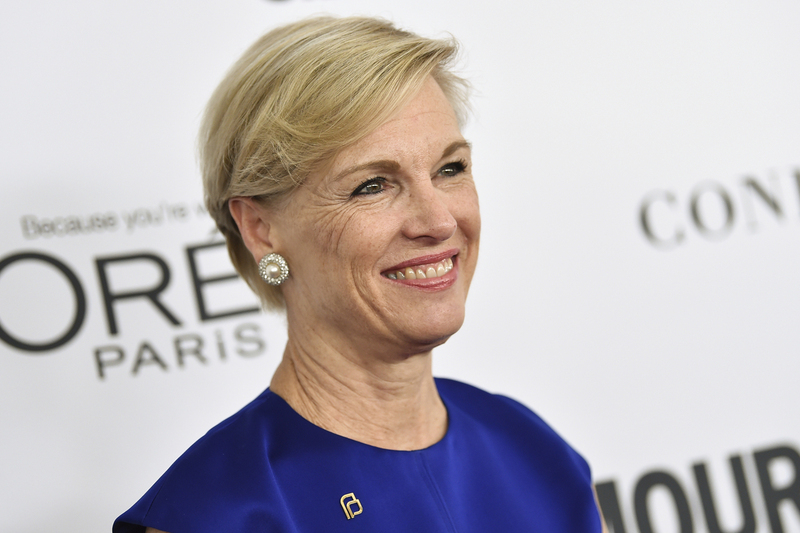 Planned Parenthood's Cecile Richards Will Step Down : The Two-Way Since taking over as president of Planned Parenthood in 2006, Cecile Richards has led the organization through numerous political fights. Those conflicts have intensified under President Trump. Cecile Richards attends the 2017 Glamour Women of the Year Awards at Kings Theatre on Monday, Nov. 13, 2017, in New York. Cecile Richards, the longtime president of Planned Parenthood, will step down later this year, the organization announced on Friday. "Planned Parenthood has been a trusted resource in this country for more than a century, and I will be leaving the organization well-positioned to serve and fight for our patients for a century more," Richards said in a statement. "Every day we see the incredible power that grassroots voices can have — there has never been a better moment to be an activist. You can bet I'll be marching right alongside them, continuing to travel around the country advocating for the basic rights and health care that all people deserve." Planned Parenthood will announce its future plans after the board of directors meets next week, the organization says. For more than a decade, Richards has held down a tough job as the group's most high-profile spokeswoman. She's been called upon repeatedly to defend the reproductive rights organization's work, which includes providing contraception and health screenings to women around the country, as well as about a third of the nation's abortions. "It's a shame to think that there are people in this country who are so committed to ending women's access to both birth control, and safe and legal abortion, that they'll really resort to any means to try to entrap people, twist the truth, in order to reach their ends," Richards told the House Committee on Oversight and Government Reform in 2015. Planned Parenthood has long been a lightning rod for criticism from abortion-rights opponents, who've made cutting public funding for the group a major priority. Under current law, it's illegal for federal funds to pay for abortions in most cases. But Planned Parenthood does receive about half a billion dollars per year in public money, largely to provide services such as contraception and cancer screenings for low-income women, who make up a majority of patients served by the organization's health centers. Richards' departure from Planned Parenthood comes at a time when many abortion-rights opponents are feeling optimistic about advancing their goals: President Donald Trump's first year in office has given abortion opponents several victories and put Planned Parenthood on the defensive. The news of a leadership transition was greeted with celebration and calls for change at Planned Parenthood by abortion rights opponents. Penny Nance, CEO of the conservative group Concerned Women for America, which opposes abortion rights, says whoever takes over for Richards is likely to face more battles with activists who want to see more legal restrictions on abortion. "This is a very sad legacy, and I hope that whoever comes after her will reconsider the direction and mission of Planned Parenthood," Nance told NPR. Meanwhile, abortion rights advocates are praising her leadership. In a statement to NPR, Ilyse Hogue, president of NARAL Pro-Choice America, called Richards "a force" who "fights to make this country a better place for women and families." Even before coming to Planned Parenthood, Richards was no stranger to Capitol Hill or political action. She was a top staffer to House Democratic Leader Nancy Pelosi, and before that, a grassroots organizer for progressive causes. Richards, who's 60 and married with three children, got the taste for politics from her mother, former Texas Gov. Ann Richards, famous for her wit and sharp-tongued criticism of George H.W. Bush. In an interview with NPR's Michel Martin in 2014, Cecile Richards talked about growing up with parents for whom political activism was in the water. "They were into politics like other couples were into bowling," Richards said, "Every movement that came through town – whether it was the farmworkers movement, the labor movement, the women's movement – they were into, and so were all their friends." In 2016, a year where gender issues were often at the center of the political debate, Richards spoke out in support of Democratic nominee Hillary Clinton at the party's national convention in Philadelphia, heralding the "glass ceiling" she believed Clinton was about to break by becoming the first female President of the United States. That ceiling, of course, did not fall, but Richards has remained an active voice for reproductive rights and against President Trump. In the days after Trump's inauguration, she addressed the 2017 Women's March in Washington, D.C.
At this year's march in Las Vegas, Richards admonished white women to "listen up," alluding to recent electoral victories for Democrats in states including Alabama, where black women and other voters of color turned out in large numbers to support Democratic candidates like Sen. Doug Jones. "We've got to do better," Richards told the crowd. "It is not up to women of color to save this country from itself. That's on all of us."